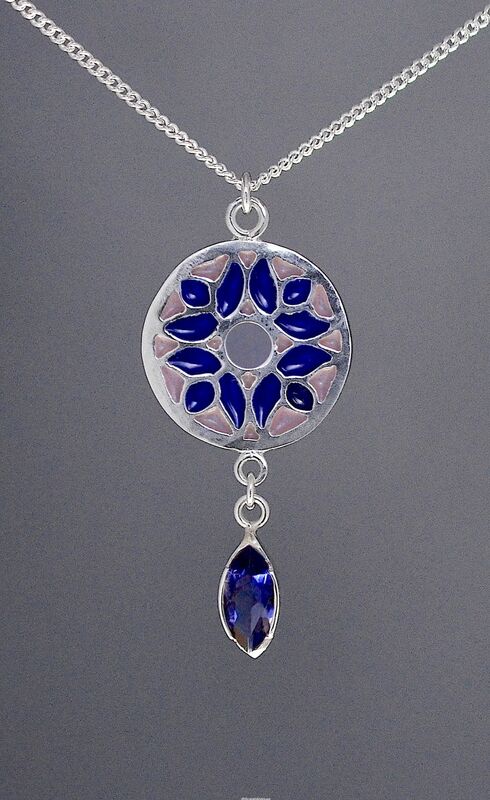 This unusual & pretty pendant was designed and handmade by Jean Wilkinson. Known as Rondelle it is made of silver and the plique a jour is a very delicate pale pink and dark blue and reminds me very much of a stained glass window. 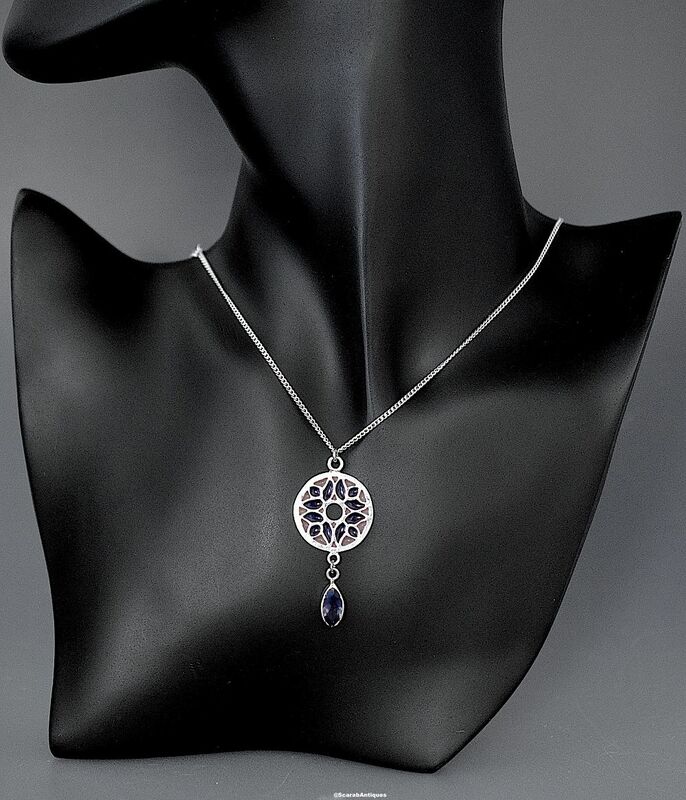 There is a marquise shaped rubover set iolite suspended from the round top section. The pendant hangs from a silver chain.